As compact-crossover SUVs go, the 2019 Kia Sportage still has a leg up on many of its rivals. Beyond its attractive pricing, unbeatable 10-year/100,000-mile powertrain warranty and long list of standard and available equipment, the Sportage offers one of the most powerful turbocharged engines in its class. Regrettably, driver assists standard on newer competitors remain optional on the Sportage. Great performing, comfortable and convenient vehicle. Very stylish, love the color! This is my 4th Kia, and 2nd Sportage. They are reliable, a smooth ride. The conveniences such as voice remote control of phone/radio backup camera/alarms work well for me. It is gas mileage is super. I gave up heated seats and leather interior this time, but do not miss them. Kia Sportage is a great car, even for basic leases! Cost: really affordable and easy to lease, test drove great. Look: sleek and dynamic, great color choices. Performance: drives great, smooth ride, easy to handle. Comfort and features: comfortable for bigger people, plenty of space, allows a lot of room. Problems: the heat takes a bit to turn on. 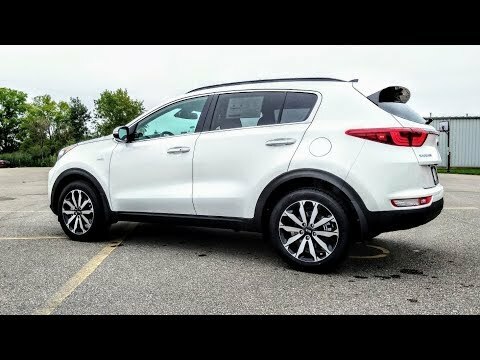 2019 KIA Sportage is spacious and reliable. My KIA Sportage is All Wheel Drive and had no issues since I purchased it in August 2018. It is extremely roomy and drives great. Gets less mileage than my last vehicle that was a Chevy Cruze but that is to be expected. I purchased it for driving in winter conditions.